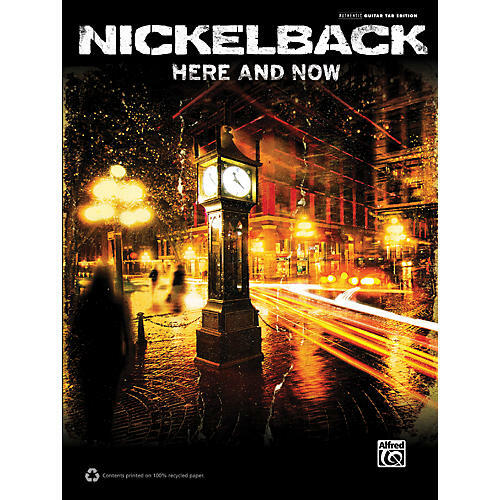 A softcover songbook of officially licensed guitar notation for Nickelback's Here and Now album. Alfred's Nickelback: Here and Now songbook contains full guitar tablature notation for the hardest rocking album yet by one of the most successful bands of the new millennium. Titles include: This Means War * Bottoms Up * When We Stand Together * Midnight Queen * Gotta Get Me Some * Lullaby * Kiss It Goodbye * Trying Not to Love You * Holding On to Heaven * Everything I Wanna to Do * Don't Ever Let It End.